As I was just working, channel 4 news in Dallas just reported that a 14-year-old girl drowned a 2-month-old baby this evening, that she was baby sitting. GRANDVIEW, Mo. 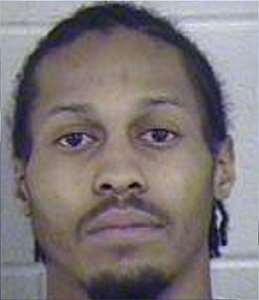 – Shaquille Stevens, 22, of Grandview, Mo., was arrested Friday and faces two counts of child abuse. On Jan. 20, officers responded to the 12000 block of Lemon Tree Lane on a report of child abuse. When they arrived, two women told authorities the 2-year-old victim was not acting normal and was lethargic. According to court documents, they said the victim appeared to have been beaten with a leather belt across the torso, hit in the head and had some scrapes that were scabbed over. The victim’s mother told authorities she left the child with her boyfriend, Stevens, while she was at work. She received a text from Stevens that said he had spanked the victim, and she didn’t think anything of it. According to court documents, the victim’s mother said Stevens told her he spanked the victim with a belt. When she arrived home, she saw the victim lying in bed with a bruised face. Stevens told her the victim also fell down the stairs. The victim’s mother said when she pulled the sheet down she saw welts and cuts all over the victim’s body. When she told Stevens they needed to take the victim to the E.R., Stevens did not want to get in trouble for causing the injuries. According to court documents, Stevens told officers the victim sustained their injuries after they fell down the front stairs and possibly from playing with a dog. Stevens has a criminal history. He was found guilty of second degree robbery in Cass County in 2010, of child abuse in Belton, Mo., (on the municipal level) in 2010, and possession of a controlled substance in Jackson County in 2014. Stevens is being held on a $100,000 bond. His preliminary hearing is scheduled for 9 a.m. Wednesday, Feb. 4, 2015.